Because moving is a special event in your life, we want to act as a calming influence at your side during the various stages of this process. Your choice of a removal team should be based on a sense of trust! And yes, we can fit your whole life into a single removal lorry. 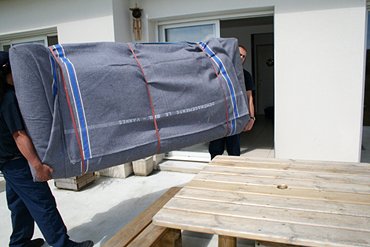 That is why we will help you to choose a removal team that is based near to your address. Urban Move is, first and foremost, a removal company committed to a quality charter and respect for the customer. Finally, it is a removal company that undertakes to use a range of materials specially designed to protect your furniture and ensure that the move passes without a hitch!